Movable positive and negative energies play an important role in the life of a person. 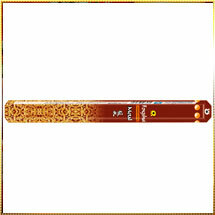 Regular use of our Feng Shui Metal Incense Stick can ward off evil and even out the imbalances of body and mind. The person having weaker metal quotient in his horoscope can use our Metal Incense Sticks to strengthen it. The Feng Shui Metal Incense Sticks Series collection is a energy resource, which improves both personal and professional life . Also shall bring good luck and helps your well being, this collection is one that can do wonders beyond just good fragrance. We offer Feng Shui Metal Incense Sticks in attractive packets and at pocket-friendly prices.